Button-It & Craftwood Creations - Mdf Fairy Door "Woodland"
Faux Fairy Door supplied in kit form & requires assembly. 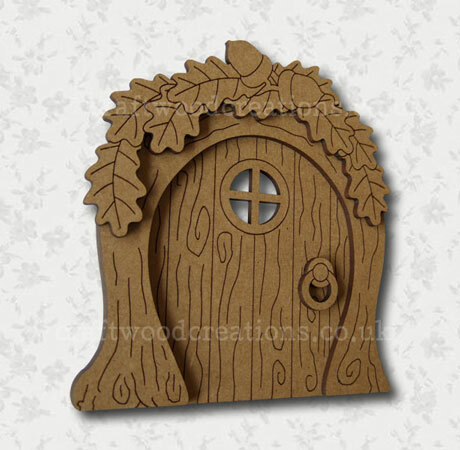 Ultimate Faux Mdf Fairy Door supplied in kit form & require assembly. They include additional engraved detail and pieces. This is a decorative item for interior use only and is not a toy. away from young children and pets. Designed & manufactured in the UK from 2.5mm MDF.